Good morning from Paris Hill, Maine where today is Founder's Day. 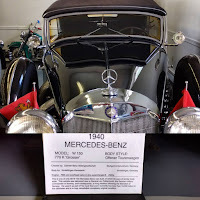 This is an annual event in our historic neighborhood that is highlighted by a library fundraiser in the form of a public viewing of an extensive antique car collection at the former home of Hannibal Hamlin. Some libraries sell old books, ours sells tickets to view million dollar cars like the one in my picture. In other news, this week I had the privilege to speak at the TechSplash Conference in Abingdon, Virginia. Thank you to the conference organizers for hosting a great event! I'm home for the next two weeks without traveling. That's giving me the opportunity to host some Practical Ed Tech webinars. On Tuesday I am hosting Google Earth, Maps, and VR Tours. On Thursday I'm hosting Fast & Fun Formative Assessment. I hope you'll join me. My fall calendar is almost full! If you would like to bring me to your school for a professional development day, please get in touch. I offer professional development workshops on G Suite for Education, Teaching History With Technology, and many other topics. Click here to learn more or send an email to richardbyrne (at) freetech4teachers.com to book me today. 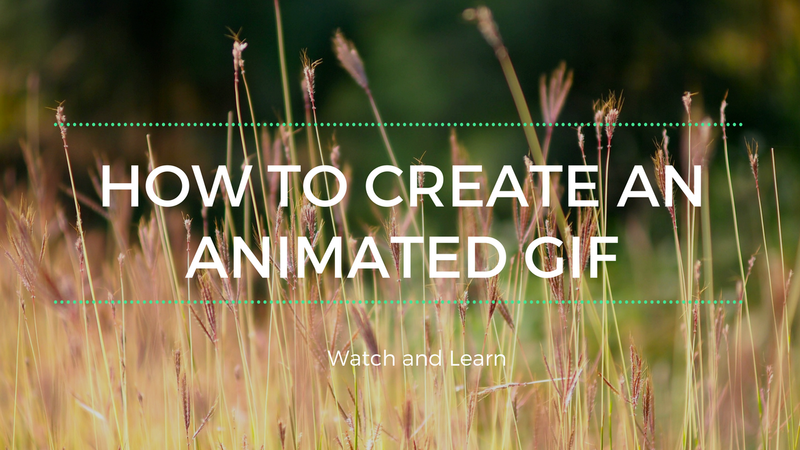 Animated GIFs can be handy for quickly showing a process or sequence of events. Check out Common Craft's soccer guide for great examples of using animated GIFs to illustrate concepts. And, of course, GIFs are fun to use to make a point in a social media post. If you want to make your own animated GIFs, try using the Docs365 GIFmaker Google Slides add-on. In the video that is embedded below I demonstrate how to make an animated GIF from your Google Slides. The current version of Google Forms has been available for almost three years. But change is hard and so there are still people using the old "classic" version of Google Forms. The old version is going to be officially retired by the end of this year. 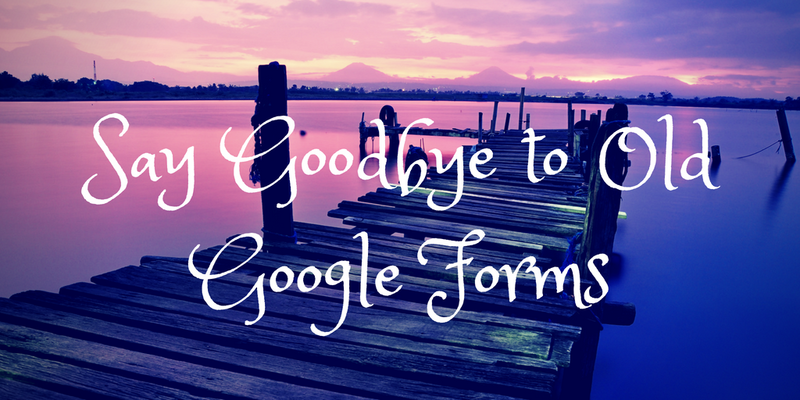 Google has announced that starting on August 22nd you will only be able to create new forms by using the current, AKA "new," version of Google Forms. Also beginning on August 22nd all existing "classic" Forms will be automatically updated to the new or current version of the Google Forms interface. Any submissions that have been collected through the old version of Google Forms will not be affected by the automatic upgrade to the new version of Google Forms. Any questions that were written in the old version of Google Forms will not be affected by the upgrade to the new version. My Practical Ed Tech webinar Google Forms and Sheets for Beginners will show you everything you need to know to get started with the latest version of Google Forms.